With AllTray you can dock any application with no native tray icon (like Evolution, Thunderbird, Terminals) into the system tray. A high-light feature is that a click on the "close" button will minimize back to system tray. It works well with Gnome, KDE, XFCE 4*, Fluxbox* and WindowMaker*. Bulldozer is an extension for the Nautilus File Manager integrating your build system. If it finds some build script in your current directory, it extends Nautilus by buttons and menu entries for accessing the build targets found in the build script. 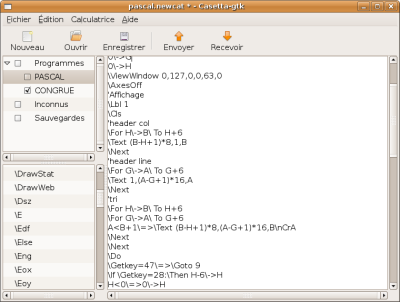 The aim of the casetta project is to provide a free software to open, edit, transfer data with a Casio graphical calculator under GNU/Linux. The package casetta is a command line tool wich can convert a file into different formats, and can interact with the calculator using cafix. The package casetta-gtk is a graphical interface for casetta, wich can open data files in many formats, and let you edit your programs and transfer your data with your calculator. 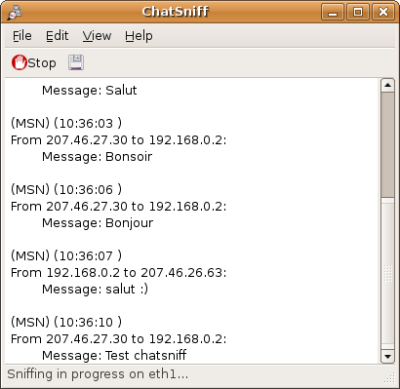 An easy to use program that monitors, or "sniffs" networks for AIM, ICQ, MSN, Yahoo! and Jabber instant messages. 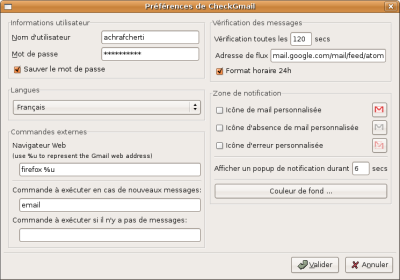 CheckGmail is an alternative Gmail Notifier for Linux and other *nix systems. It is fast, secure and uses minimal bandwidth via the use of Atom feeds. CheckGmail is a system tray application that checks a Gmail account for new mail. When new mail is present the tray icon changes, an optional animated popup is displayed and a tooltip displays the number and details of new messages. 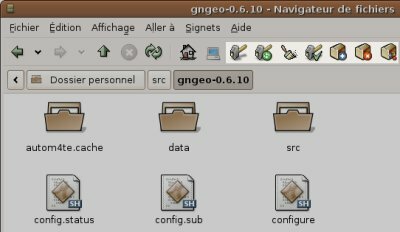 Configuration is GUI-based and the application is designed to be simple, elegant and unobtrusive. Makefile generator (in french language only).